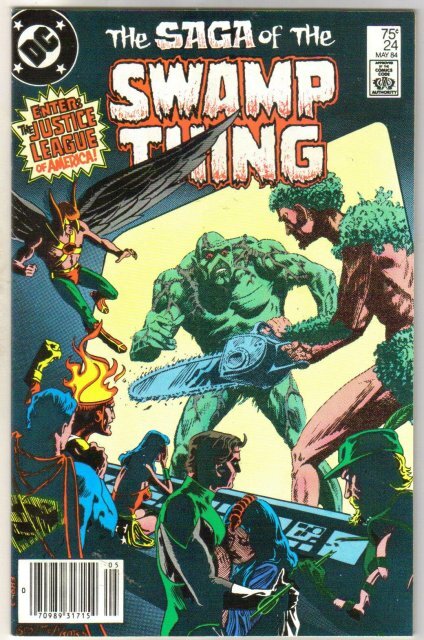 Our next Anatomy Lessons entry comes just a few issues later on in Alan Moore’s brilliant Swamp Thing run—the story which not only offers the first real confrontation between the newly “awakened” Jason Woodrue and Swamp Thing, but also an inspired guest appearance by the JLA. But for all of their fantastic abilities, and the poetic language that describes them, when a madman promises an environmental holocaust, and proves capable of making it happen, their impotence in the face of this is most perfectly expressed by Green Arrow, snapping his own arrows and overrun by rage at the innocent dead in Lacroix, Louisiana. Rootsposits the theory that there are certain worlds, larger worlds even, that they’ll never be granted full access to, and will never fully understand. And in these places lurk adversaries that cannot simply be punched into oblivion and then hauled off to jail. 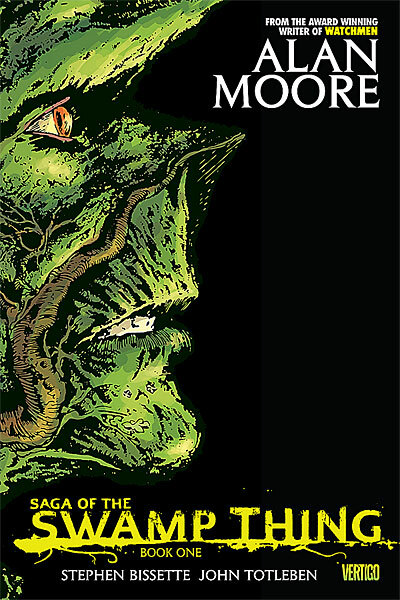 There were few things more important than this to properly establish in Moore’s early going, that the threats his title character would face are as alien and unfamiliar to superheroes as his own existence. Otherwise, the question would always be there, lurking in the corners of every major story Moore chose to tell—couldn’t the JLA just swoop in and fix all of this in like five seconds? The paradigms of the superhero genre are incredibly pervasive, and initially Swamp Thing fights as the Justice League would, relying on his fists and strength, at the exact same time the superheroes are on their moon base discussing how ineffective that approach will be. Ultimately, the battle is won, humanity is saved by reason of all things, by a simple truth that Woodrue has ignored in his misinterpretation of The Green’s wishes and desires. Woodrue’s made the mistake many others have made, projected his own thoughts and feelings about the way things should be, and then compounded that mistake by taking drastic steps to justify those false beliefs. And when he realizes that he’s wrong about everything, his mind cracks just that much more, as the larger consciousness he’d discovered quickly falls away from him. It’s a horrible and demoralizing defeat, even for a “villain,” and it’s not long until the “heroes” show up and take him to Arkham Asylum.